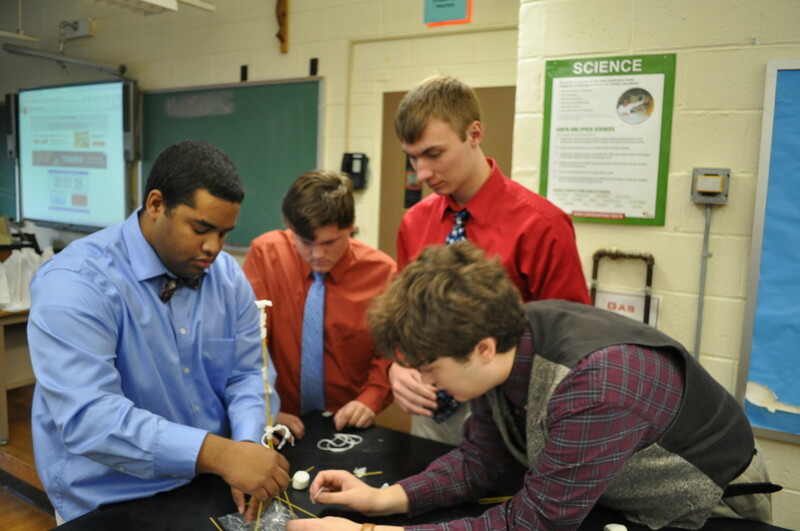 In conjunction with the presentations and discussions with our Engineering Seminar series, the students in Benedictine’s Engineering Club are able to participate in hands-on lab-type challenges. See the information below regarding each of the activities. 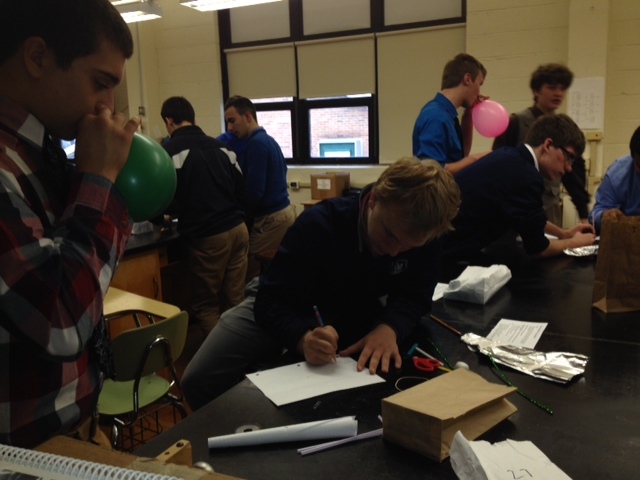 These activities are being supervised by retired engineer Mrs. Schiffer, mother of current sophomore, Andrew Schiffer. Mrs. Schiffer brings many years of experience to the classroom, having been involved in multiple corporations and projects including a stint on the Ford Racing team! 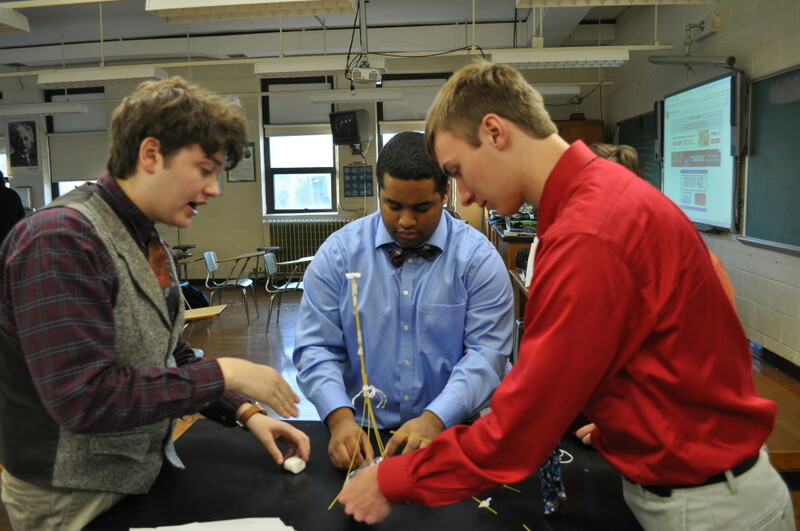 RUBBER BALL SHOOT: The Engineering Club Challenge for October 2016 was to construct a device that would shoot a rubber ball 10 feet and hit a target. The device had to be mounted to a “12” X 12” cardboard Launch pad. Scissors and rulers were also available for the construction. 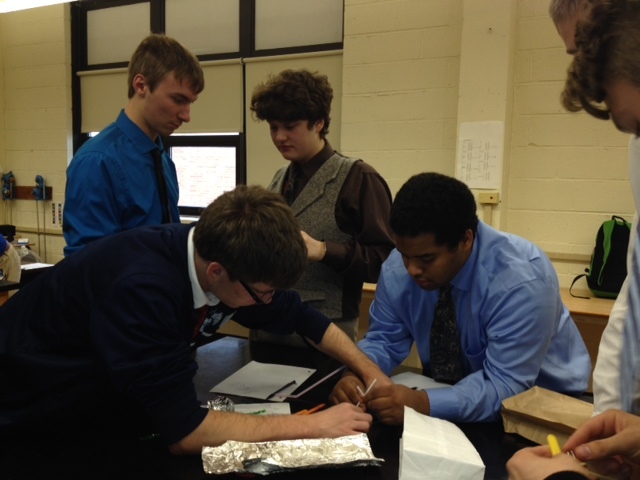 All the teams discussed various ideas, some sketched up designs and some just started to build a device. Many teams tested and refined their ideas. Three teams successfully launched their rubber ball in excess of the 10 feet and were awarded prizes. 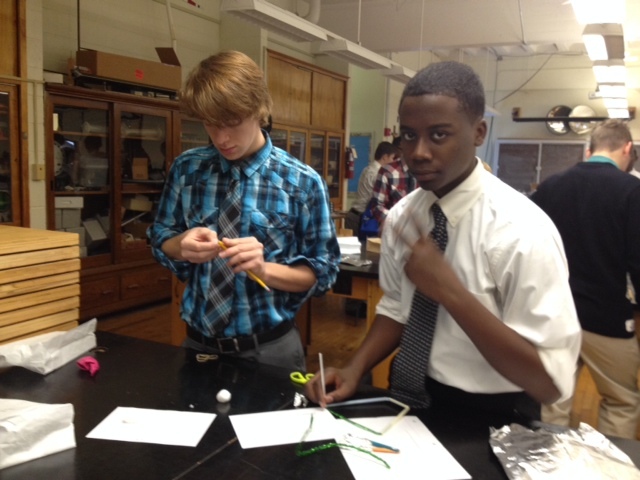 Objective – Find a way to transport the clothes pin the greatest distance possible along the suspended fishing line. (Aim for at least 15 feet). 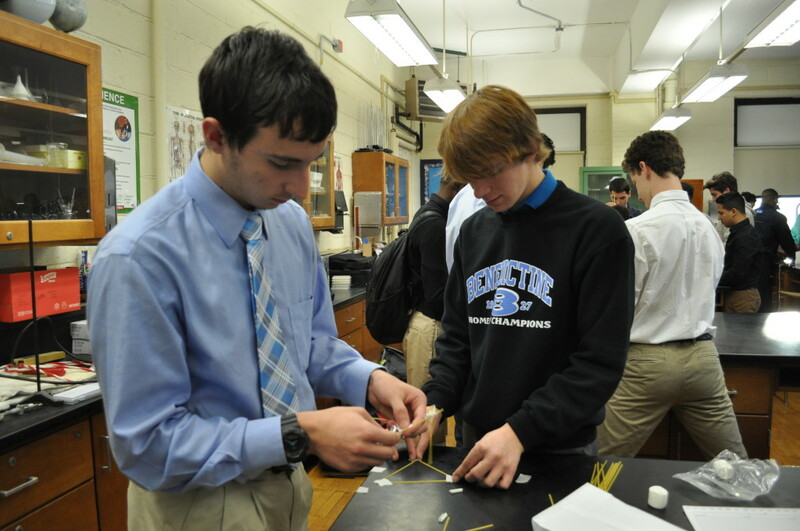 Given that the clothes pin must travel the distance in a single continuous movement, the clothes pin must be powered by only the materials provided to the students in a paper bag, and that the students may not move the fishing line, 3 teams (of 3-4 students) were successful among over 60 total participating students in meeting the requirements. The winners were awarded a prize for their successful completion of the activity. 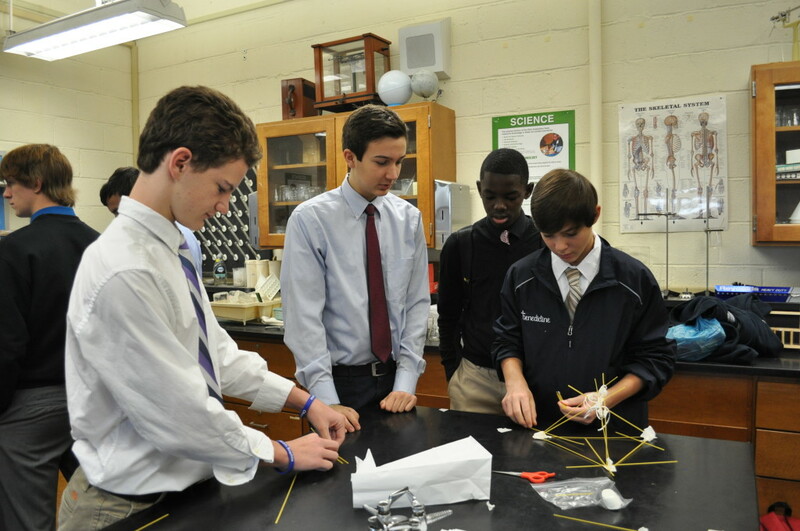 Objective – Build the tallest, free-standing structure with the supplied materials. 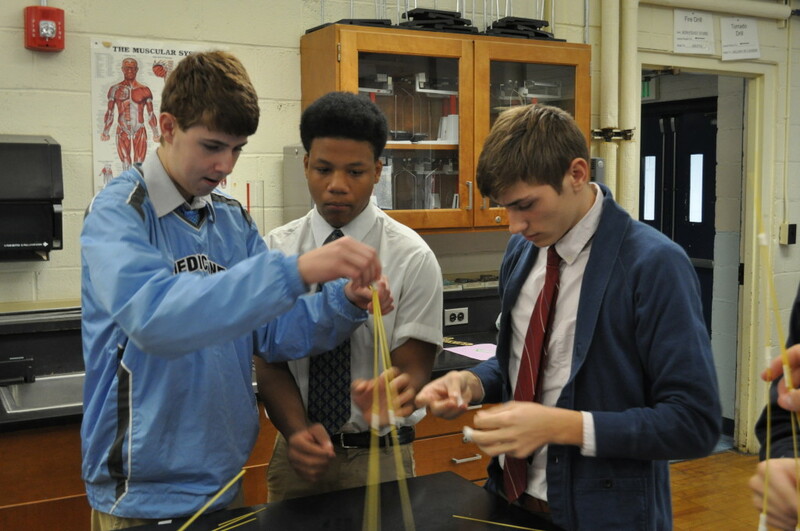 These included 20 pieces of spaghetti, 1 meter of tape, 1 meter of string, and 1 marshmallow. 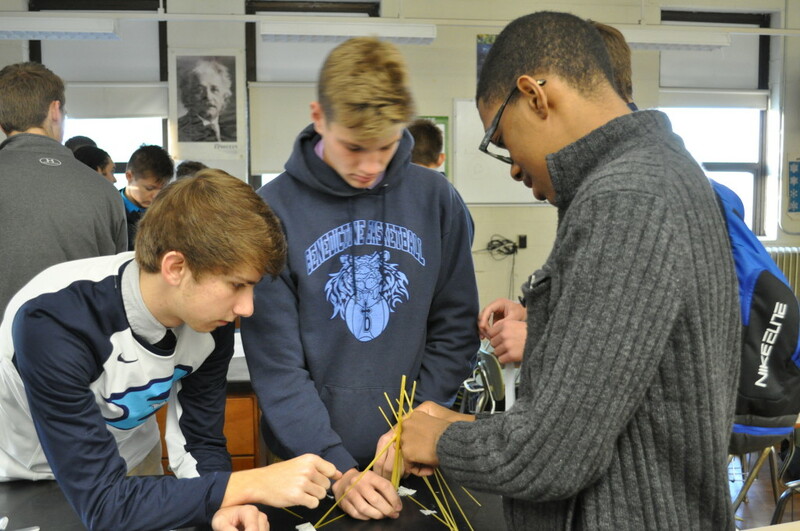 By the end of the competition teams were encouraged to use as much of the spaghetti, string, and tape as they desired, however the marshmallow (in its whole form) must be perched at the top of their tower. After 18 minutes of building, there were 3 teams which were awarded surprises! 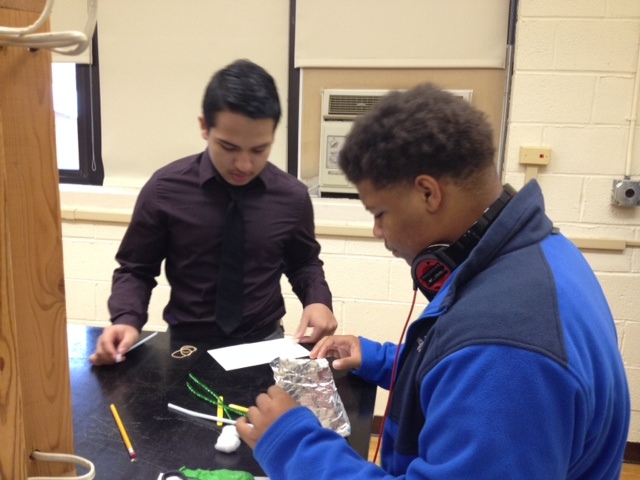 Objective – Design and build a device to launch a cotton ball as far as possible using only the following materials: 2 cotton balls, a balloon, a rubber band, 2 paper clips, a piece of aluminum foil, 2 coffee stir sticks, 2 straws, 2 pipe cleaners, paper, pencil, and scissors. 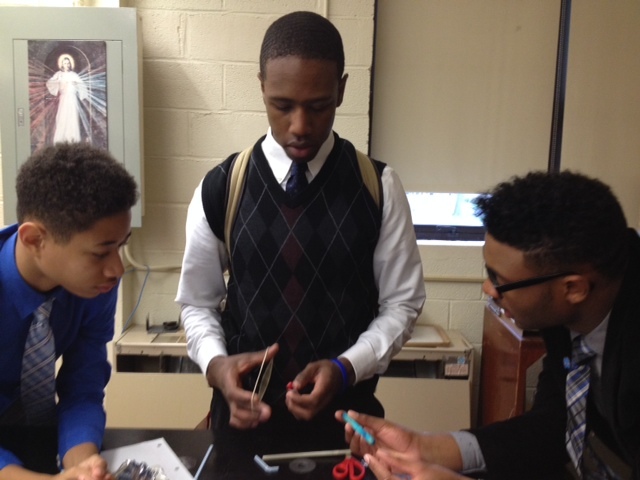 The students were given 15 minutes to come up with a device/method, and all teams worked actively to come up with an efficient solution. 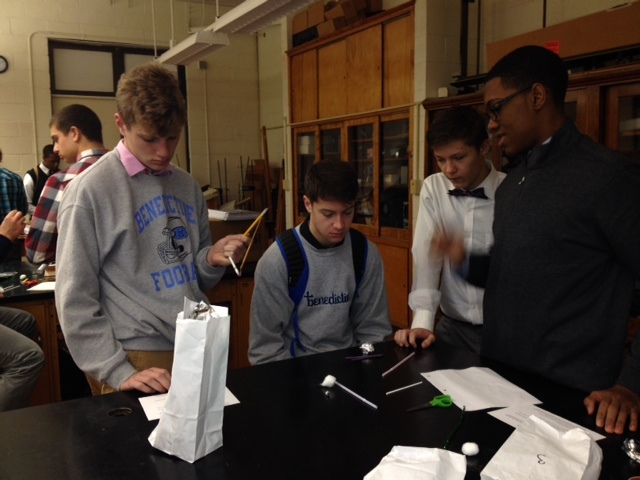 The team that won launched the cotton ball over 45 feet! 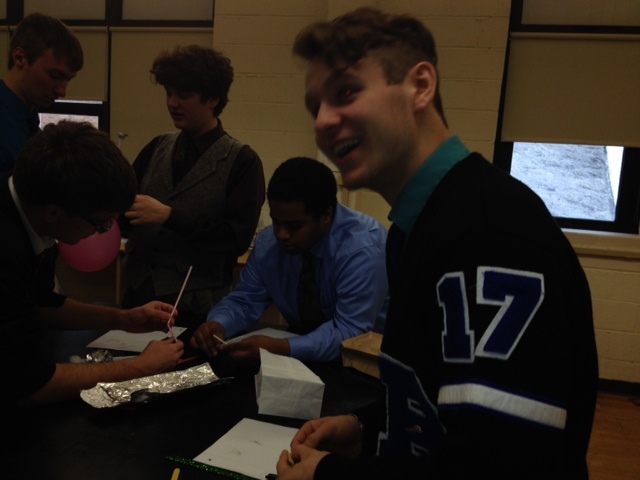 Within the 15 minutes, every team managed to create a device to launch their cotton ball. 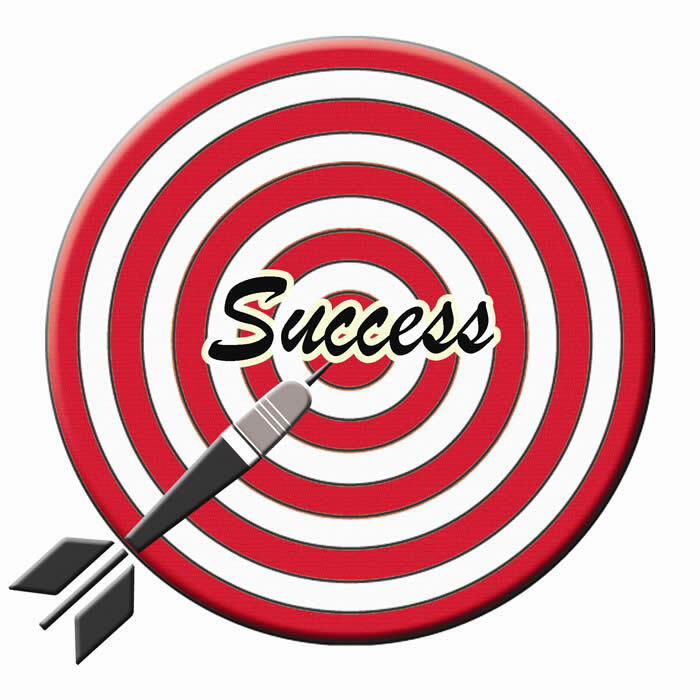 Some went forward, some backward, one was lost in the ceiling, some like a slingshot, others a bow and arrow, and even one was a baseball. 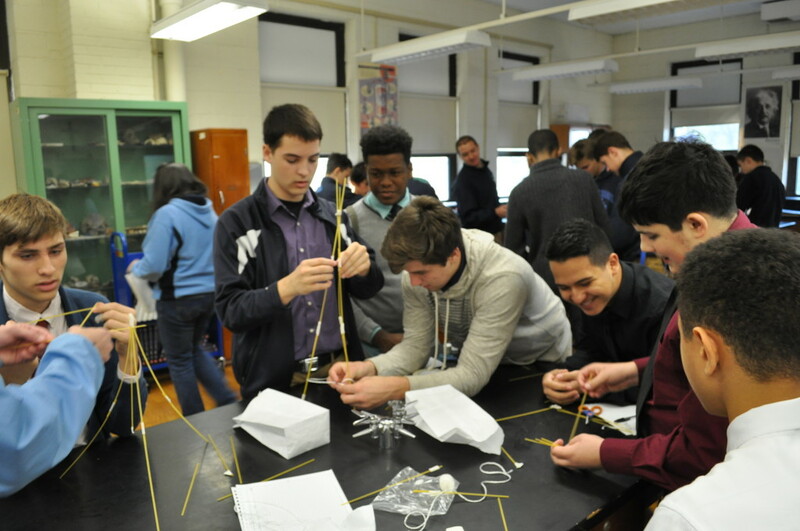 At the end of the meeting period time, one team refused to give up and managed to eventually create a device that would launch more than 45 feet. 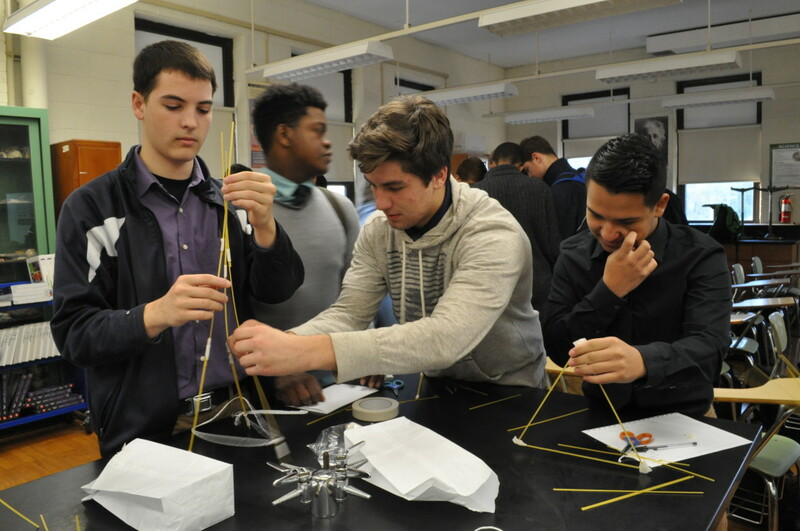 Unfortunately in the world of engineering and design, there will be constraints on time and materials, and these students showed clearly how given more time could eventually lead to a more optimal solution. That luxury however is rarely an option – engineers must work quickly and efficiently to find the optimal solution as quickly as possible.